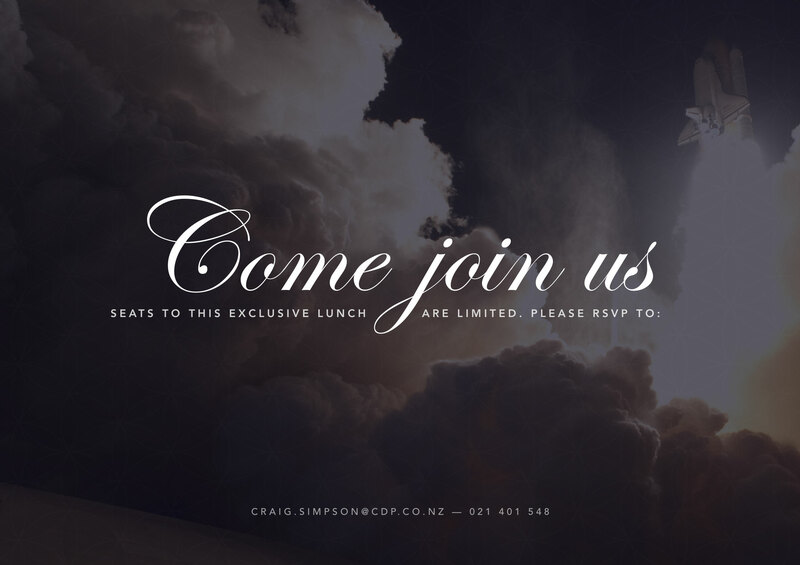 Microsite and invitations for the CDP Executive Lunch series. 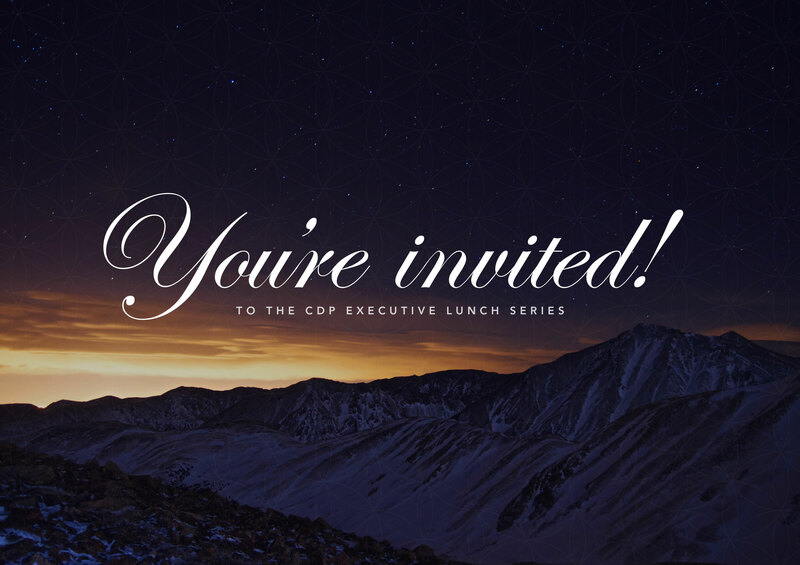 For the latest edition of the CDP Group Executive Lunch series, I wanted to focus heavily on beautiful imagery and large typography to really give the event an elegant feel. I wanted to alternate between imagery and typography in such a way that the images would introduce the content and more detailed information would follow. I choose Georgia as the default typeface and selected a purple colour as it relates to luxury, power, and ambition. I combined Georgia with Avenir and used Edwardian Script with the large images. 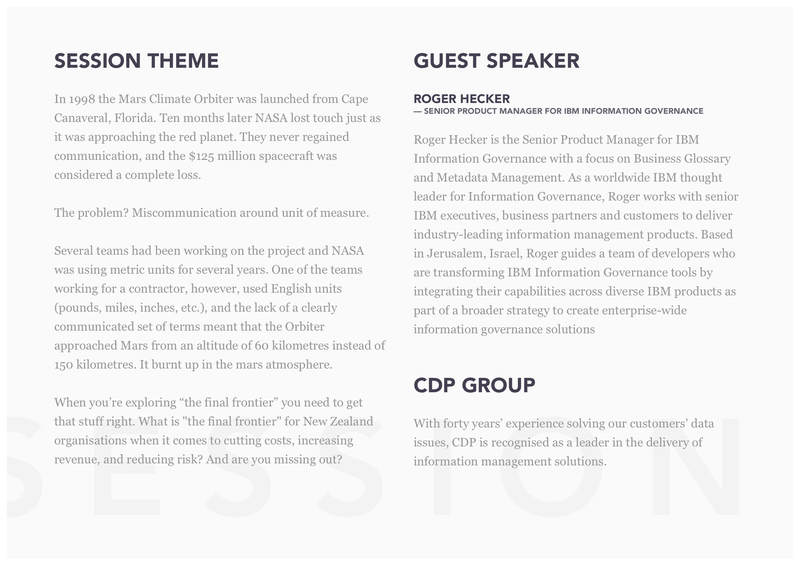 For the 6th series, the title was named “Information management – Conquering the final frontier”. The large inviting imagery was used to help convey the tone and style of the event. 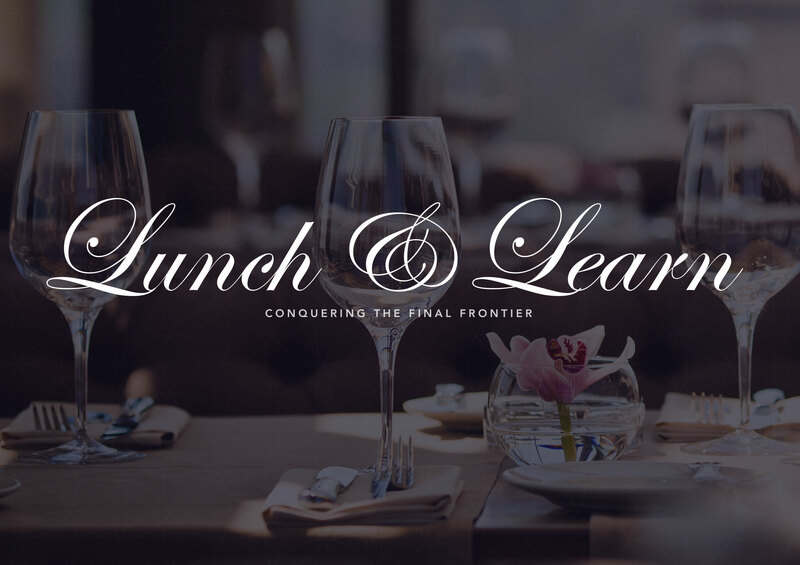 A brief overview of what attendees could expect and what topics would be covered at the executive lunch. 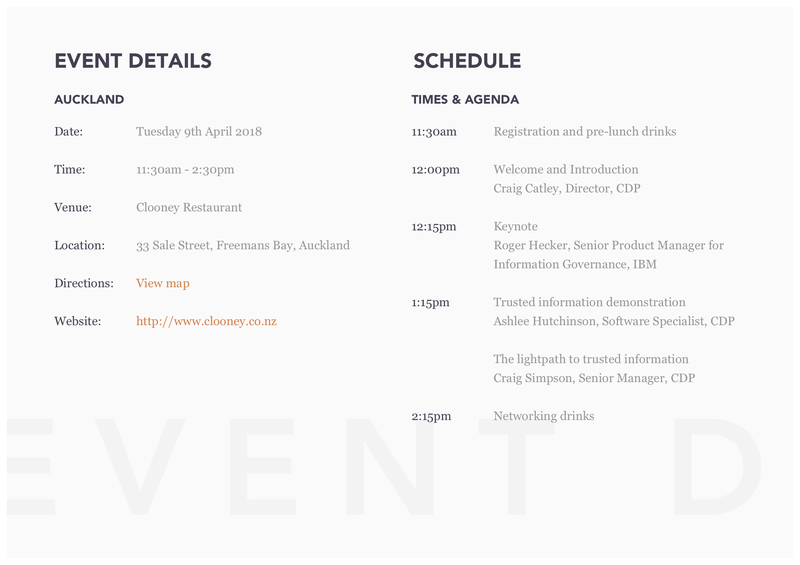 Also, a brief introduction of the guest speakers and what CDP Group does. A simple call to action to give people the chance to sign-up for the event and make them aware seats were limited. People could email, text or call the organiser to reserve their place. By not implementing a convoluted sign-up process we removed a number of hurdles people would have to jump and conveyed the informal nature of the Lunch and Learn sessions. 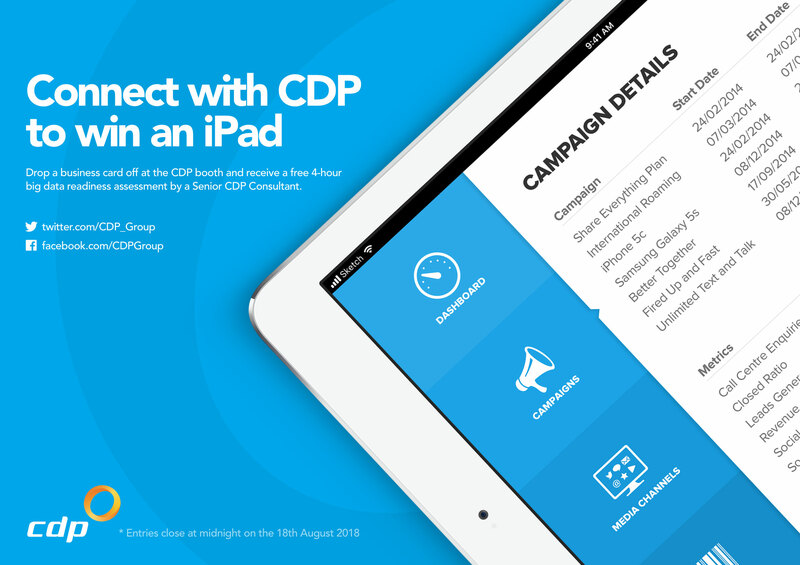 At the end of the event, we gave participants the chance to win an iPad mini simply by liking CDP Group on Facebook and/or following them on Twitter. A small gesture to thank them for giving up their time and a great way to keep conversations going after the event and keep them in the loop with what’s happening in the business intelligence space.